o.m.g. 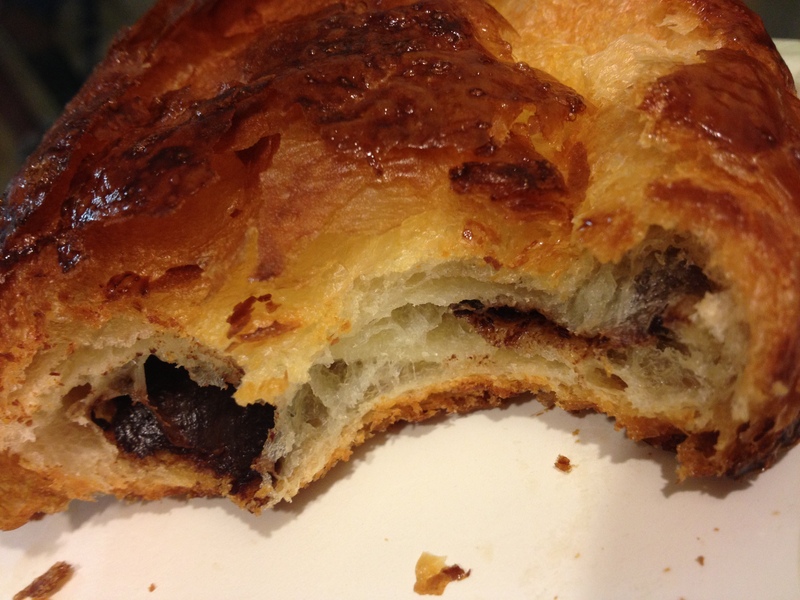 Have you ever tried TJ’s Chocolate Croissants? If you haven’t… go out and buy them now. Then we can talk. Dave and I have discovered a new favorite breakfast in bed item. 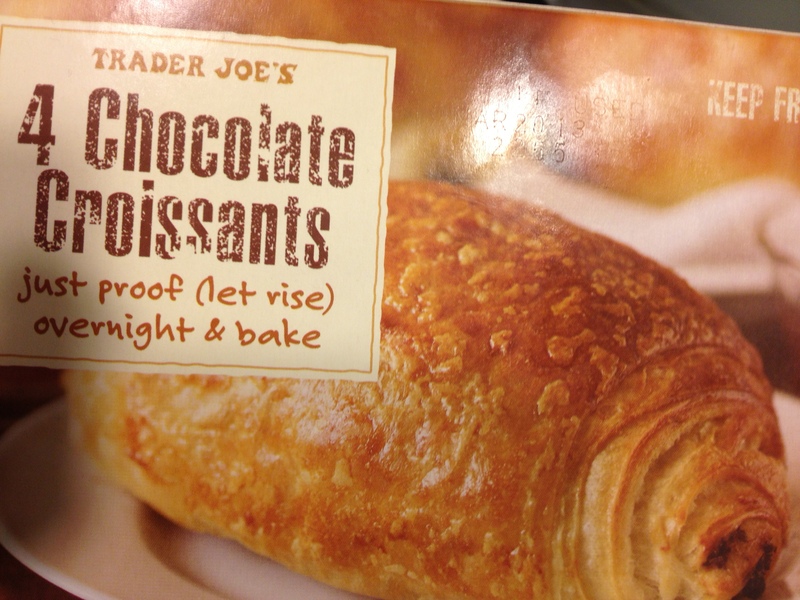 These croissants are NOT healthy. But they are delicious. Delicious enough for you to forget about how bad they are for you. Sometimes you need a treat like that! We love eating these bad boys on Sunday mornings after we sleep in. They are perfect for the occasion because all you do is take them out of the freezer and let them sit on a baking sheet overnight. Then, when you’re ready to eat them, you bake them in the oven for under an hour. You don’t even need to do anything! It’s amazing how much they rise overnight. So cool. 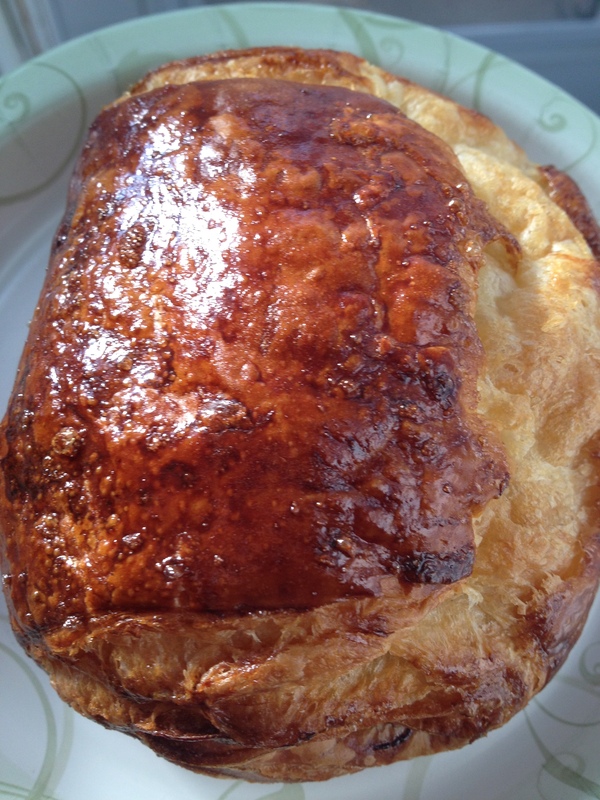 They are hot and gooey on the inside and crispy crunchy flaky on the outside. YUMMY! 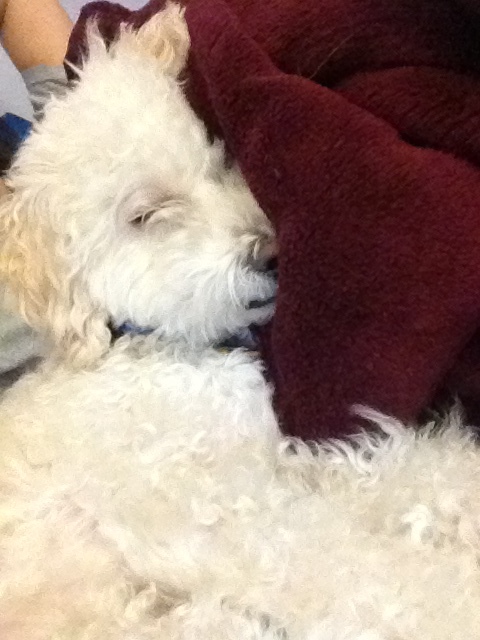 When you wake up to a face like this, it’s hard to get out of bed in the morning!! It looks a delicious temptation!